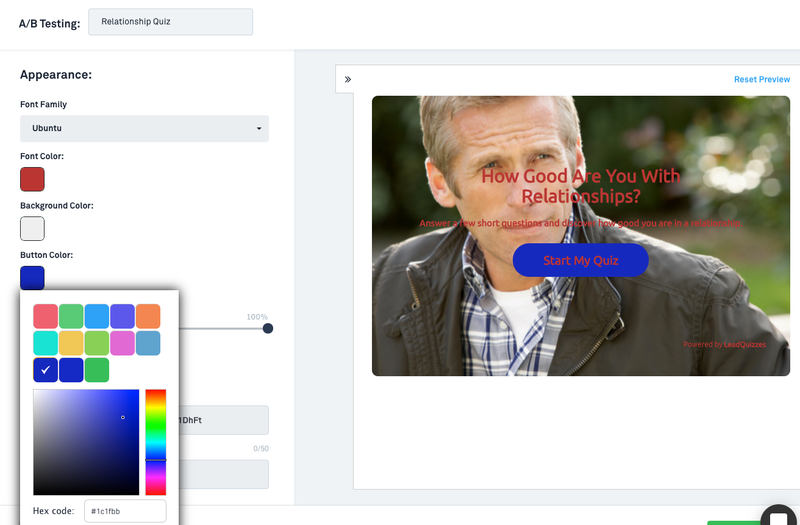 With LeadQuizzes you can easily adjust the look and feel of your quiz including the font, font color, quiz background color and button color! 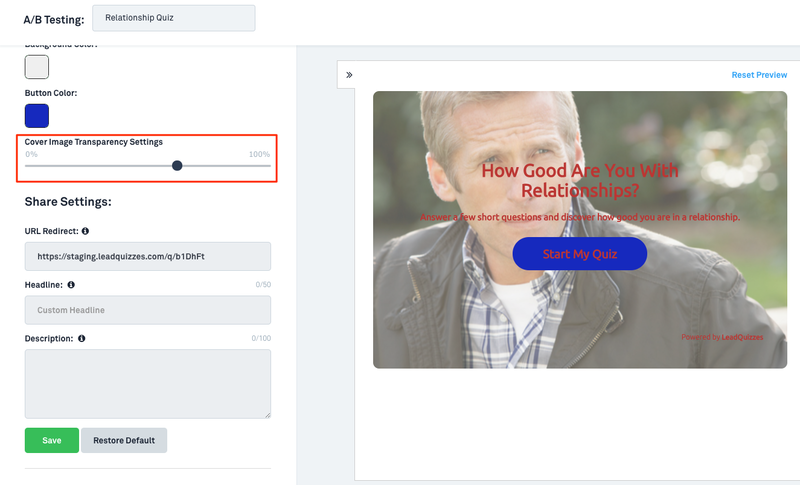 Follow the guide below to add these custom features to your quiz. 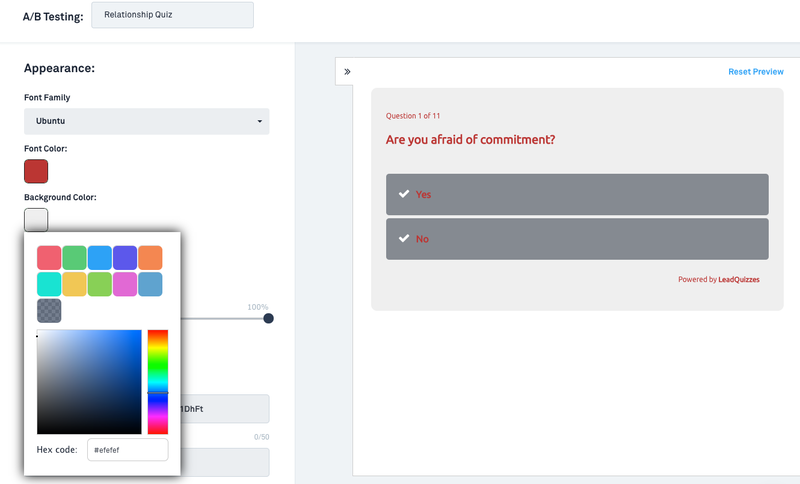 To customize your quiz either create a new quiz or edit an existing quiz from your dashboard. 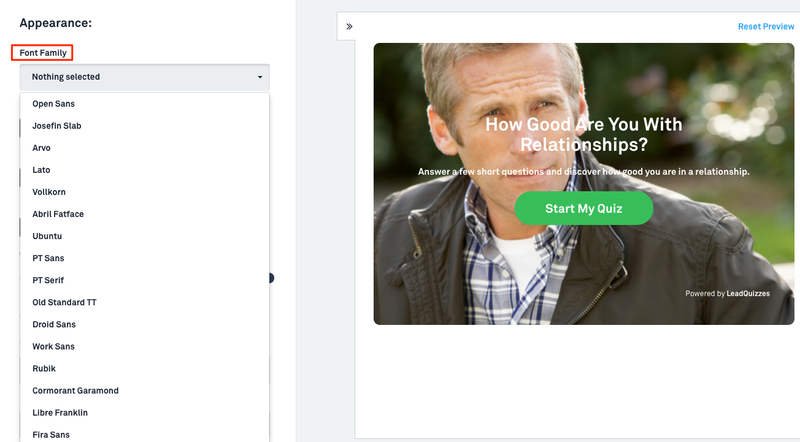 In the quiz builder you will see a "Customize & Review" section. 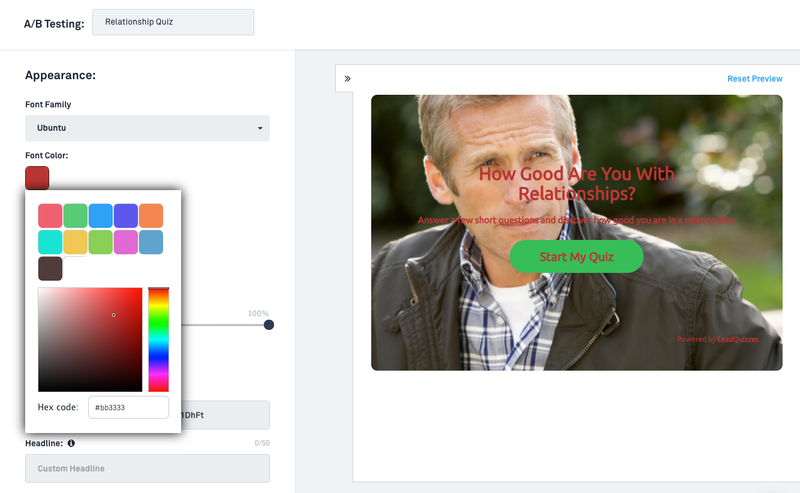 This is where you will customize your quiz after it is created. 2. 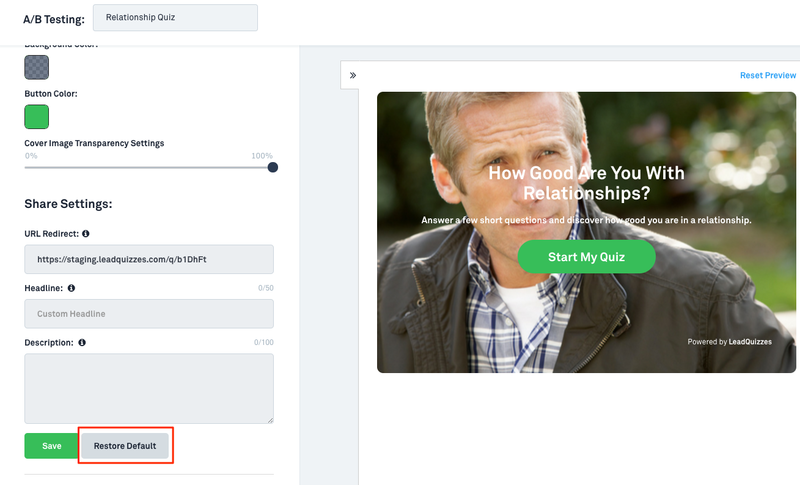 When you get to the "Customize & Review" section of the quiz builder you will see a number of options. The first is a "Font Family" drop down. Here you can change the font that is used throughout your quiz. 3. Next you can change the font color throughout your quiz. Say for example you have a mostly white background, you can use this to change your font to black so it is easier to see. 4. You can then adjust the background color. This is the color that you will as the background for your quiz questions. Just like with font color you can enter in your own hex code so that is matches perfectly with your branding. 5. Next you can adjust your button color. 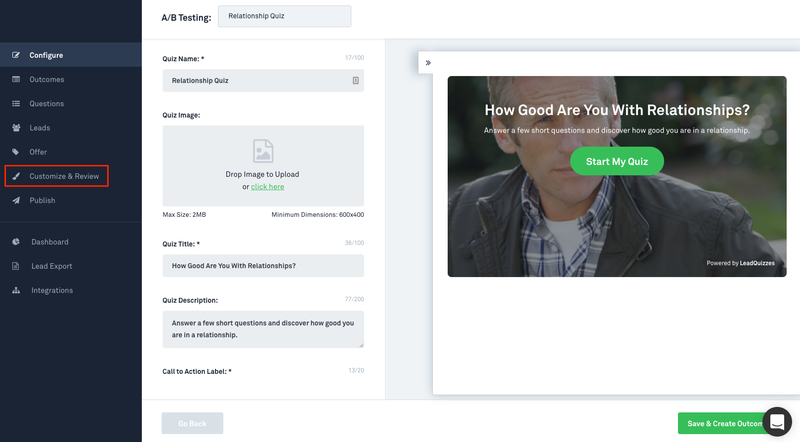 This is the color of the button that will be seen on the quiz start page, the quiz questions pages, as well as the lead capture form and your offer section. 6. Lastly you'll be able to adjust the cover image transparency, making it easier to read the text no matter what your quiz background is. To do this simply move the transparency bar meter to your desired transparency and you will see a preview on the right. 7. If you decide you don't like the changes you made and want to revert to the LeadQuizzes default simply click the "Restore Default" button at the bottom of the page.